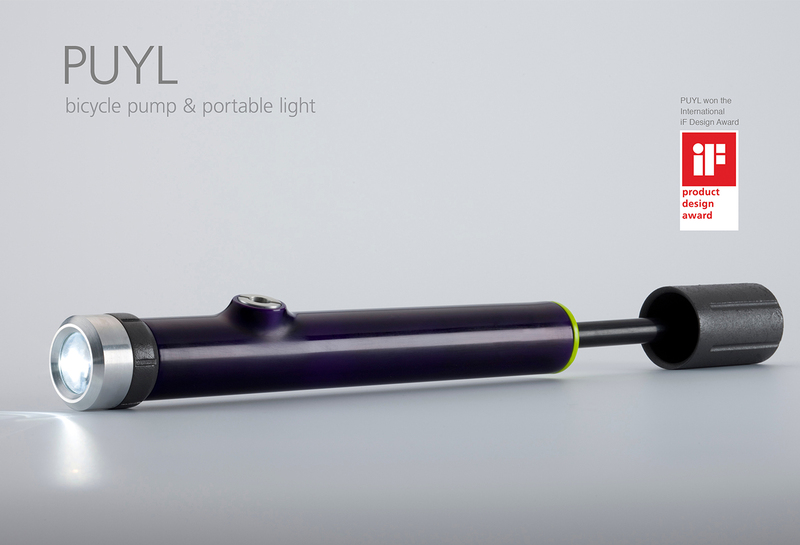 PUYL is a bicycle pump and portable LED front light in one device. It is the first permanently illuminating bicycle light which does not need a battery. Instead of batteries, it uses electromagnetic induction. The light’s battery is charged while pumping. The electricity is generated by moving the compressor/ magnet through the copper coils that are located around the compression tube. The magnetic recharge method allows the LED light to be recharged unlimited times. The criteria for the object required it to be eco-friendly and reduce the number of items the user had to carry around. The pump is designed for any cyclist in the urban, road and mountain bike field. The research for this concept showed that most urban cyclists - especially in big cities - carry bike lights and a pump wherever they go. The appeal of this product also extends to recreational cyclists who do not like to carry lots of equipment but who need to be prepared for arriving at their destination at dusk or in poor weather conditions. The product is clear in its appearance its use is self-explanatory. The product is patented in Germany and the PCT-Application (for an international patent) has been submitted. 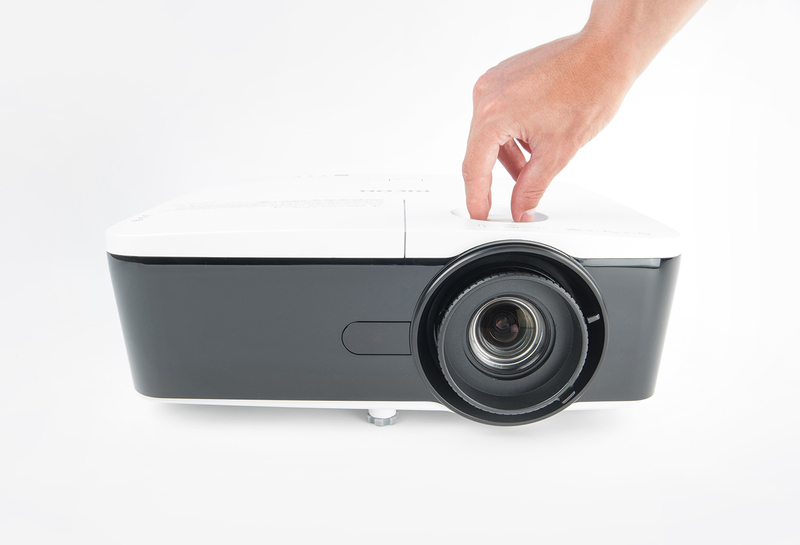 This projector offers extensive connectivity options and powerful management features, including compatibility with the latest network management utilities, to make operation easy. Its resolution at 5500 lumens with a high contrast ratio of 9000:1 projects images of outstanding clarity. 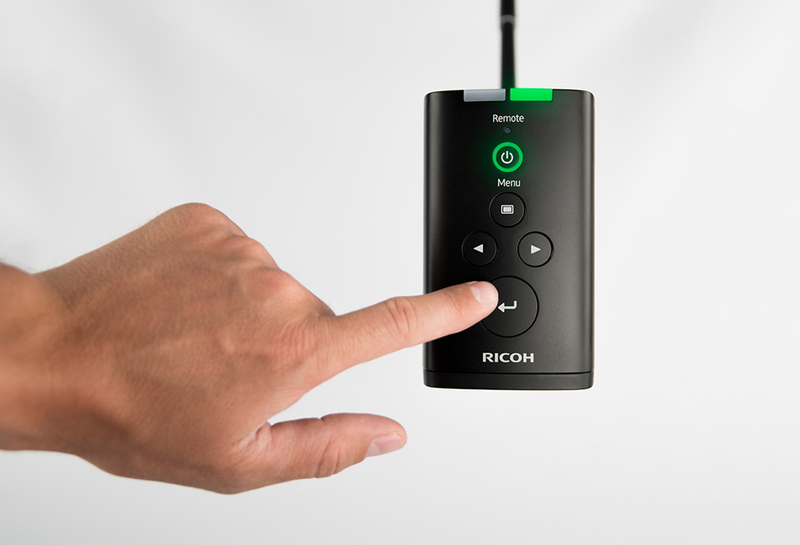 An optional wireless attachment allows input without a wired LAN for flexible connectivity. Its prominent dials ensure easy, quick and precise operation. 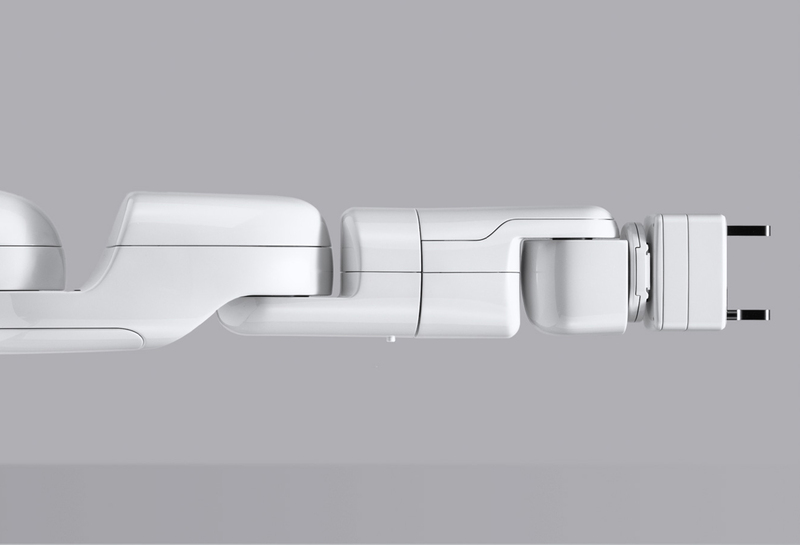 Cobotta is an ultra-lightweight robot that opens up a new perspective on the use of industrial robot technology. This new series of small robots is specifically designed for educational and research purposes. The series boasts open programming architecture, enabling compatibility with a broad scope of programming environments and languages. It is suitable for so called “desktop applications” typically found in universities or laboratories. With its light weight of just 7kg, payloads up to 500g, its small size and low cost, it can be flexibly placed in various educational, pharmaceutical, medical and life sciences applications. The robot is designed especially to work directly with or right next to humans on industrial manufacturing processes. The smooth and elegant design enhances the usability of the product and gives it a human-friendly appearance. The main focus of this product’s design is to provide a high level of safety and usability. For this reason the product avoids finger traps or other potentially harmful elements. Unlike conventional industrial robots, it does not need any safety barriers or safeguards. This results in a small footprint which therefore saves space and allows it to be placed extremely close to users in small laboratories or manufacturing lines. ‘LAPROS’ is the world‘s first laser processor, featuring simultaneous machining for transparent conductive film and silver extraction electrode film such as ITO (Indium Tin Oxide) used in touch panels. The LA-1100‘s footprint is extremely small. The roll-to-roll laser processing technology ensures high productivity and seamless work flow. The design is based on the flow-through concept that was developed in the design planning stage, to ensure consistency across Richo‘s entire FA lineup. The concept represents the process of transforming raw materials run through the machine and its core body into actual products. Its ergonomic design allows the operator to set and position the heavy film rolls at an optimized level. A standard status lamp fulfills the usual FA safety standards, in addition to an easy-access emergency button that is placed immediately next to the operation area on both sides of the machine. The LA-1100’s front face has been designed with an additional fluted status indicator that can be easily seen from both close and far distances. This design feature is one of the product’s design identities, distinguishing it from other manufacturers. Shepherd (SC-10A) is a factory assembly-supporting camera system that uses image recognition at the factory assembly lines. It automatically checks that the job is carried out to standard. Pre-registered images of proper job results and images of current job conditions are compared to prevent stock-out/wrong parts choice. Notifying check results with sounds/LED external monitors helps workers recognize them easily. Its usability is optimized to match the users‘ work-flow. Also, as it‘s possible to reduce formerly needed ancillary jobs such as prior preparation and post checking that adds no value in essence, it both improves quality and reduces workers‘ mental burden. 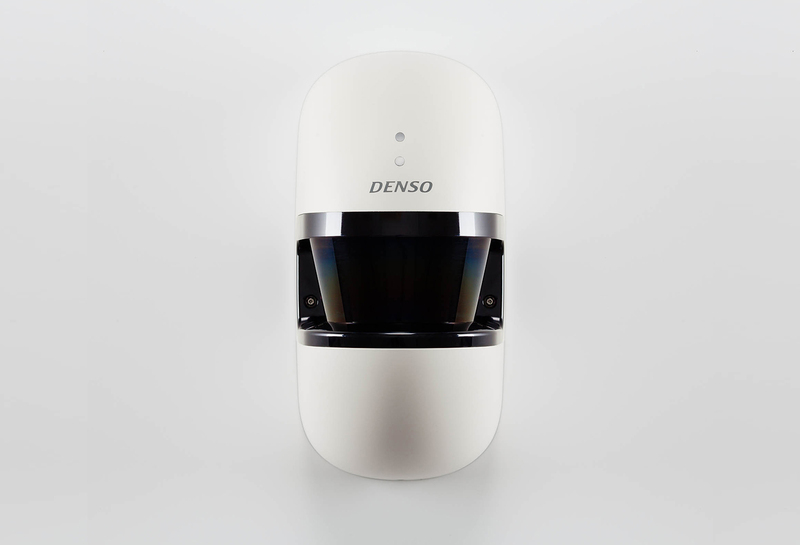 The ZONE D laser sensor monitors freely-defined protection areas to detect intruders. Like optical radars, the sensor scans its surroundings and measures distances using the time-of-flight principle of measurement. The rotating mirror creates a two-dimensional scan of the pre-defined protection area. This laser sensor is able to clearly distinguish between humans, animals and objects. In addition, the product is able to trace direction and the speed of moving objects in its territory to give detailed information and avoid detection errors. It was important to characterize the product‘s function in its form, avoiding an intimidating appearance. Further, it creates a balanced concept of how to integrate such items cautiously into domestic, public and commercial spaces without invading personal privacy. Retaining the pre- manufactured laser shield with its geometry and the internal components ensures the laser‘s precision. 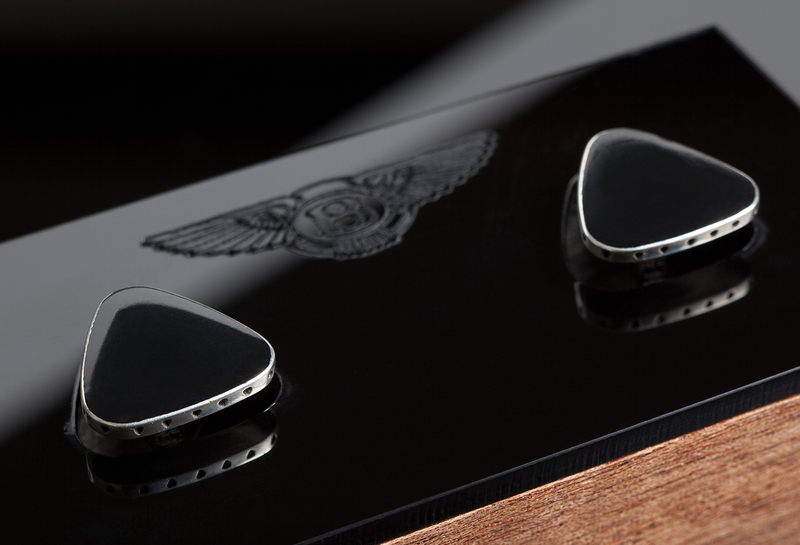 The concept behind the cufflinks is based on the identity and the spirit of the Bentley brand. It combines the different facets of what the brand stands for. It focuses on the movement, performance, elegance and the unique craftsmanship related to Bentley’s philosophy. The intention was to bring this uniqueness closer to the customer in the form of a very special fragrance contained within a luxury jewelry item. The uniqueness of the fragrance is combined with an exceptional object. This gives the person who wears the product a special and elegant perfume experience. The fragrance is carefully stored in custom designed cufflinks enhancing your every gesture. The scent follows your individual movements and creates a personal aura around you. This is a new and unique way of wearing a fragrance. The cufflinks consistently evaporate the customized fragrance while you wear them. This concept prototype is the foundation element of the fine eo_ipso jewelry brand. The refill unit allows the user to simply refresh the cufflinks by pressing them into the recess. 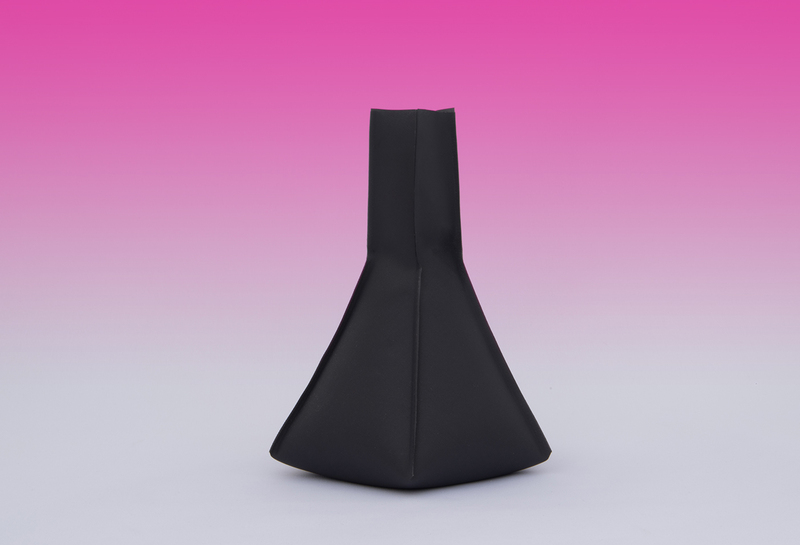 A foldable vase that transforms from a very simple shaped two-dimensional form into a complex three-dimensional object. Available in three different sizes and colors. Easy to store, washable, durable. The concept of the dining table SUMLON was formed from different design aspects and usability requirements, producing an everyday object that incorporates both new technology and traditional methods of joinery. The table is designed as a flat pack to allow the user the ability to disassemble, move and re-assemble easily. This ensures transportation is efficient and stress-free. The table’s construction is self-explaining and quick to set up. Most parts are connected without the use of screws or glue. The construction of SUMLON is based on wedging, tension, traction and clamping. Its assembly is self-explaining & quick to setup. 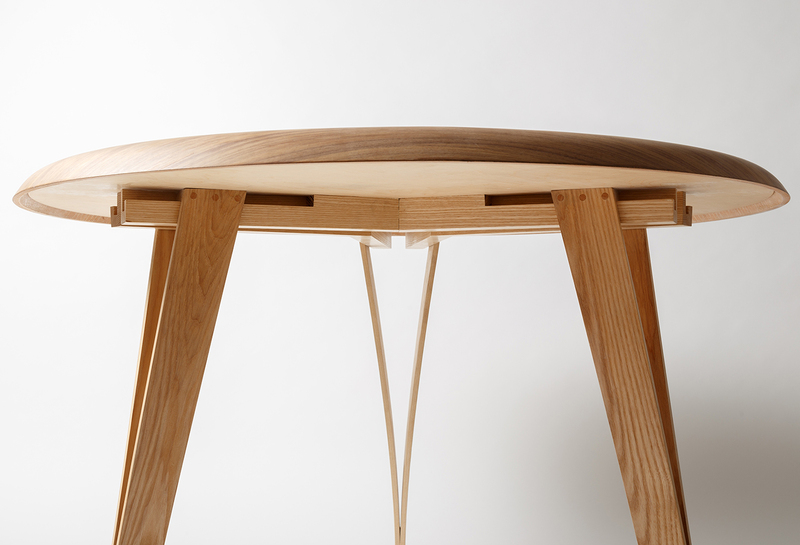 The table is extremely strong and stable due to its three-point tension structure. Villeroy & Boch, the German bathroom furniture manufacturer internationally known for their high class bathroom furniture, intended to introduce a new bathroom furniture line based on their brief ‘Urban Nature - Refinement of Living’. The OYSTER concept interprets the brief with a design that connects natural, organic shapes and simple architecture that exists in nature. The intention is to make water more visible and tangible, accentuating its flow and showing its vitality. This exclusive luxury bathroom range is composed of an ultra-flat shower tray for easy and stepless access which gives the range a seamless flow between the bathroom architecture and the ‘additional’ furniture. The freestanding sink and bathtub however, gives a balanced contrast to the overall collection. The product's basic outline is inspired by the oyster growth ring structure. © 2017 FORMPASCH - Kai Malte Roever - Unless otherwise stated, all names, designs, logos, titles, text, images, audio, video, software or other content contained in this site are protected by copyright. All rights reserved.